Basic economy tickets are not the ‘cheaper way to travel’ that they’re billed to be. Basic economy tickets are used to trick unsuspecting travelers into fees for everything. Do yourself a favor and avoid buying one of these, so that you can get an assigned seat, mobile boarding pass and not be last on the plane. Of course if you have to book one, you can use this tactic to override the fare and get normal benefits. Price trackers are free, price trackers are easy- and price trackers are awesome. Google Flights, Hopper and Kayak allow you to set alerts for flights you’re interested in. They’re extremely easy to set, and you’ll be first to know if a big sale comes along. We also post lots of awesome deals, so be sure to pop by regularly. Everyone’s heard of SeatGuru, but ExpertFlyer– and it’s nifty seat alerts fly under the radar. Through the free app, you can set alerts for the economy seats you’d like. 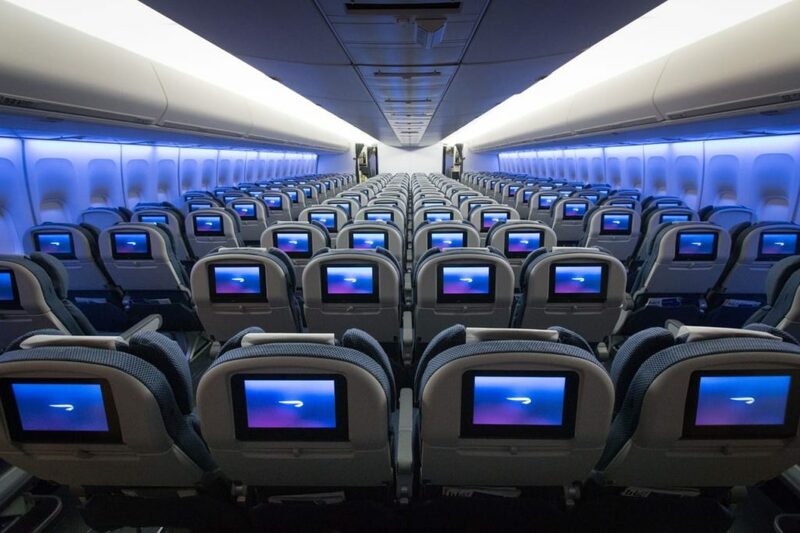 You can choose between free seats, paid “extra room” seats, window, aisle, or even a specific seat you’re eyeing. It’s totally free and people change seats all the time. Airlines are all about squeezing extra bucks out of travelers, but it’s not always a bad deal. Airlines are more and more often offering “cheap” paid upgrade options up to the next cabin. 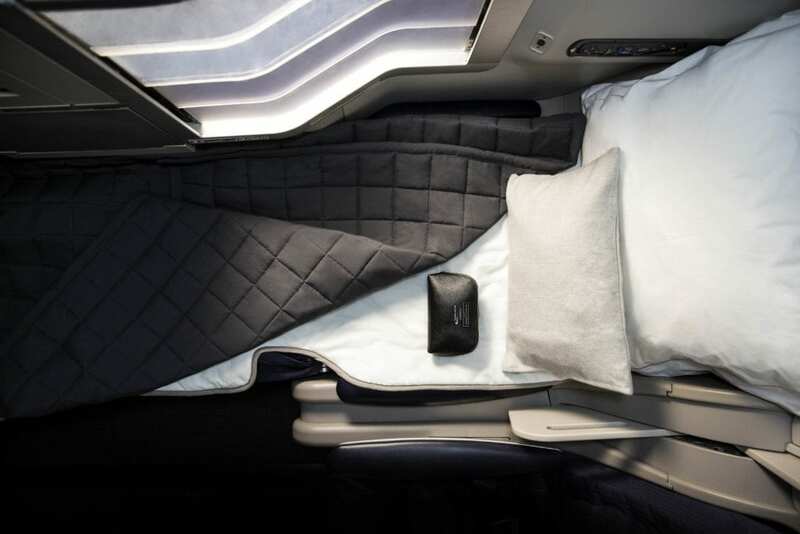 It’s not impossible to fly first class for just $49 bucks more domestically, or business for $500 more internationally. Checked bag fees are pesky, annoying and downright expensive. One area where airline credit cards shine is their comped checked bag fees, for the cardmember and everyone on their reservation. For someone traveling regularly with an airline in economy, an airline card can save thousands per year. Going to the check in counter wasn’t amusing in the 90’s, and it’s completely unnecessary in the 21st century. Mobile boarding passes save so much time at the airport, and with most airlines now offering kiosks to check your bag in, you can board the plane without waiting in a single line. Mobile boarding passes are available if you check in online- or on the airline app. When it comes to security, flying economy can be just as good as business class- if you have TSA Pre Check, or a similar fast track, elsewhere in the world. Pre Check/ Fast Track can save hours during peak travel times. That’s exciting stuff. You can get PreCheck online, or as part of Global Entry. Elsewhere, many airports and airlines sell fast track access on a one off basis. Look for it! You don’t need to fly business or first class to access an airport lounge. Awesome apps like LoungeBuddy and Priority Pass offer access-starting as low as $16 per visit, which include unlimited free drinks, wifi, couches, some food and occasionally even showers and spa facilities. You can sign up for PriorityPass here, or download LoungeBuddy here. And yeah, even when flying budget airlines. Flying in a tin can at pressures unnatural to the body is literally and figuratively exhausting. Though it sounds elementary, staying hydrated (with water, not gin), standing up during the flight, walking around and stretching can seriously help combat fatigue. If you want to take it to the next level, on longer flights, check out these jet lag tips. You can find out if your flight is delayed long before an airline tells you. Whatever issues arise during your travels, like missed connections, be sure to use Twitter or even Facebook to contact the airline. Most issues can be resolved with a simple message and doing so will save you tons of time, and wait time jazz music.